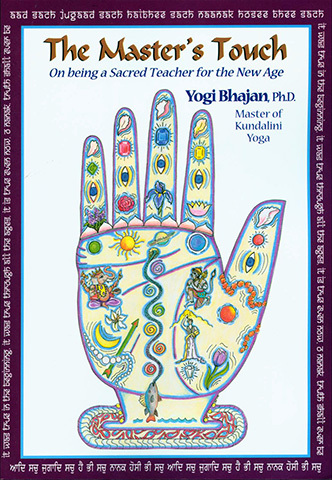 Yogi Bhajan's The Master's Touch is an essential library addition for both qualified and aspiring Kundalini Yoga teachers and also for truth-seekers wishing to gain a deeper understanding of Kundalini Yoga philosophies, meaning and mastery. 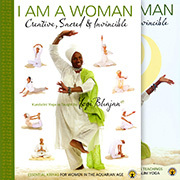 It also provides you with an inside look into the mind of Yogi Bhajan; a look that will, for days afterwards, have you thinking and pondering questions on the mysteries of life. In it you will find a superb collection of pragmatic spiritual teachings from Yogi Bhajan's Master’s Touch courses. The path of the teacher is clearly explained using wit, compassion and a practical sense of the challenges of life we all face every day. These pointed and inspiring teachings contain guidelines necessary to succeed during the Age of Aquarius. You will be challenged and revitalized by the yoga exercises, and elevated by the meditations. You will find the scope of Yogi Bhajan’s world vision and awareness unlike anything you’ve encountered before offering, as it does, unique insights into the human character. The teachings are presented as a resource for everyone on a spiritual path who is looking to open new doors, and to stretch or challenge themselves. This book explains the importance of spiritual discipline in facing the challenges of life. Most of all, it clearly establishes the Aquarian blueprint of what it means to be a true and sacred spiritual teacher. In the context of The Master’s Touch, a Master in the true sense of the term is not a philosopher or preacher. He or she is a Teacher of Teachers, a transmitter of the same mastery he or she has achieved. A Master has experienced and integrated into his or her consciousness that which gives clarity, depth, and insight, so the teaching can generate profound effects. In the lineage of Kundalini Yoga, unlike other Eastern traditions, the connection to the teacher (or Golden Chain) is not established by initiation. Yogi Bhajan explains that students must initiate themselves by adhering to the discipline and practice of the technology. Having said that, as a Master of Kundalini Yoga he always made himself available and accessible to students, in order to guide them in achieving the level of commitment necessary for their spiritual growth. The qualities of true spirituality and true awareness are not something that can be taught. Grace it is which ultimately merges the consciousness of the student with that of the Teacher. It was this feeling of grace which distinguished the lectures of Yogi Bhajan, during which he spoke about life, about yoga, and about teaching in such a direct and profoundly penetrating way that each person present was transformed. He had a very special gift of making his words touch the psyche and soul of each and every individual present, bringing to them light, insight, and elevation of the spirit. His teachings are, at once, both inspirational and transformational.